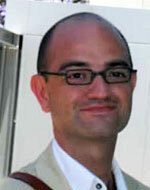 Jordi Díez is the author of The Politics of Gay Marriage in Latin America )(2015). He is Associate Professor of Political Science at the University of Guelph. The author of four previous books, he has also published numerous journal articles on social movements and public policy. A recipient of several research awards from organizations including the Social Sciences and Humanities Research Council (SSHRC) and the International Development Research Council (IDRC), he has taught at several universities in the Americas and Europe and was recently named a Peggy Rockefeller Visiting Scholar at Harvard University.